Yet again we've had guests who are staying at our Edinburgh Quartermile Apartment tell us that the photos dont do it justice, the apartment is much bigger than the photos show on our Edinburgh holiday rentals website. 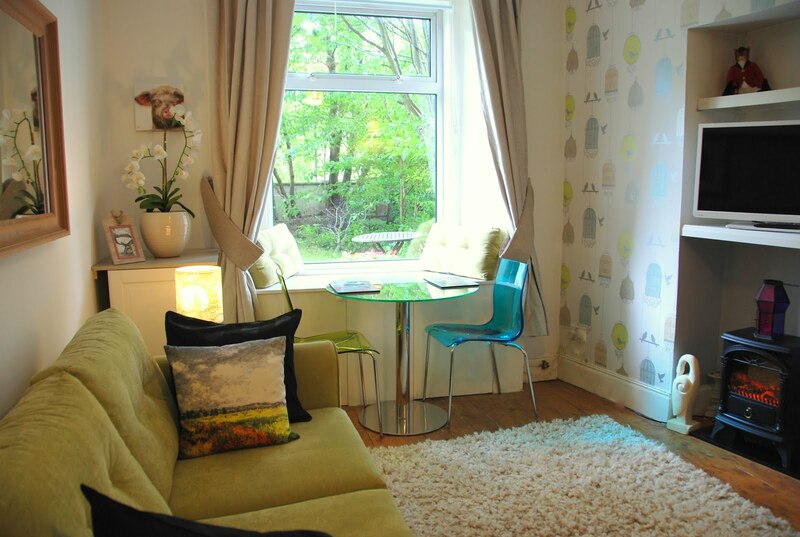 We plan on taking new photos of our Quartermile Holiday Rental in a few weeks. All our Edinburgh holidays rentals are now booked for the Christmas and New Year holidays, however we do have some super prices for January visitors to Edinburgh and if you happen to be lucky enough to be in Edinburgh when it snows then both the Quartermile Apartment and the Victorian Apartment have fantastic views of snow covered hills and streets. The Quartermile and the Victorian are only a 15 minute walk away from each other, and between the 2 properties is this fabulous city centre park. 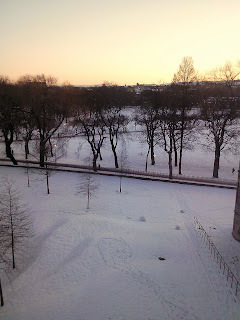 A snowy view from the Quartermile Apartment in Edinburgh. These photos were taken back in 2011. 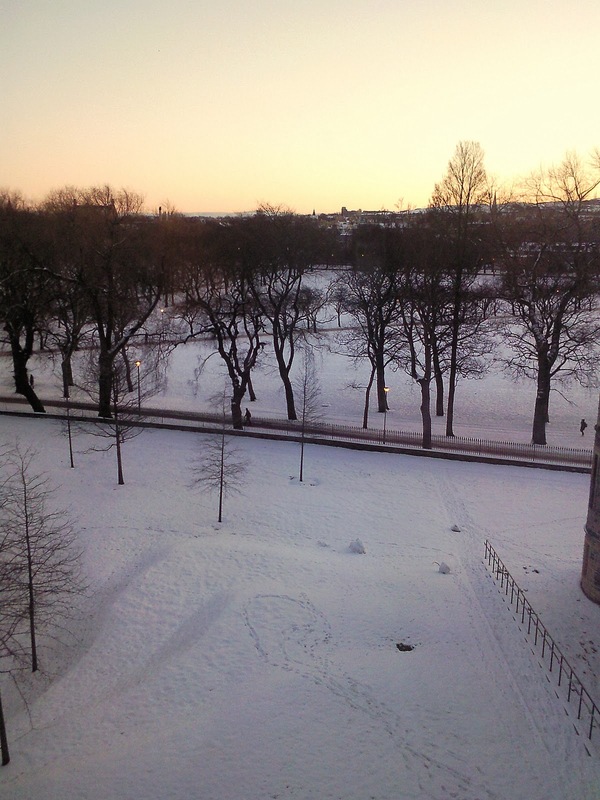 If you stay at our 4 bedroom holiday house in Edinburgh then you'll be able to make snowmen in the garden!